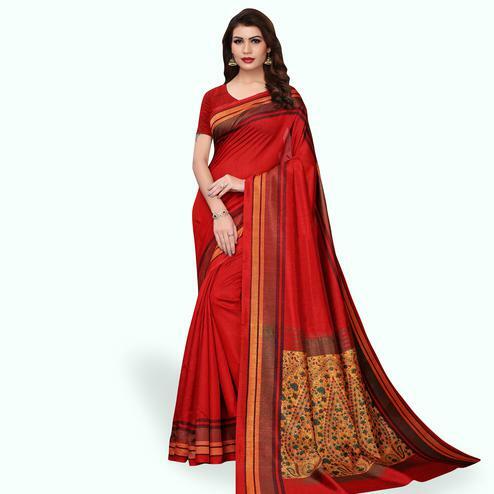 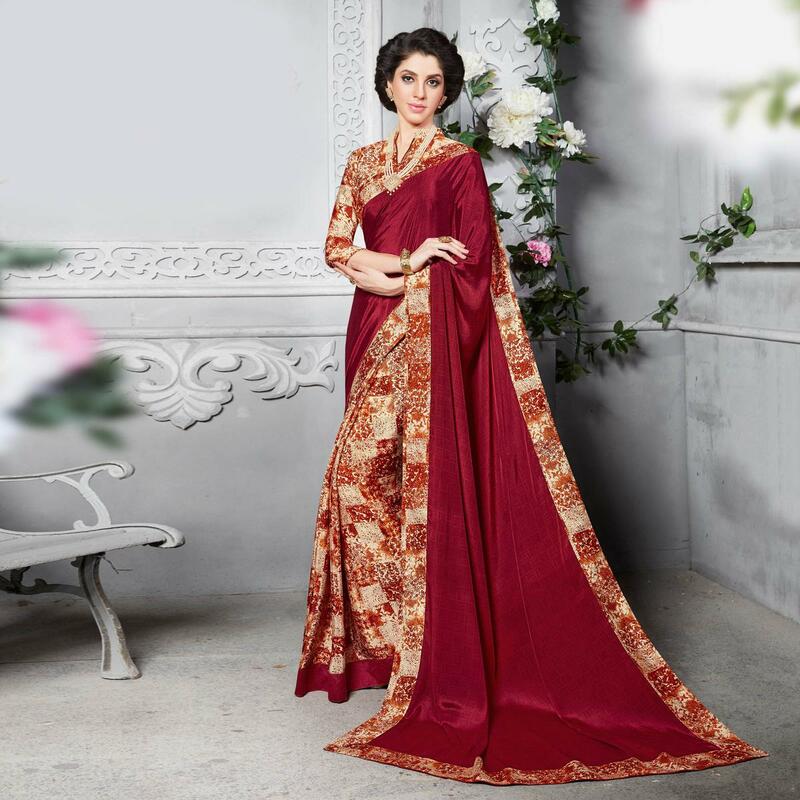 Look attractive in this maroon - cream colored saree prettified with prints in contrast color and contrast color pashmina lace border. 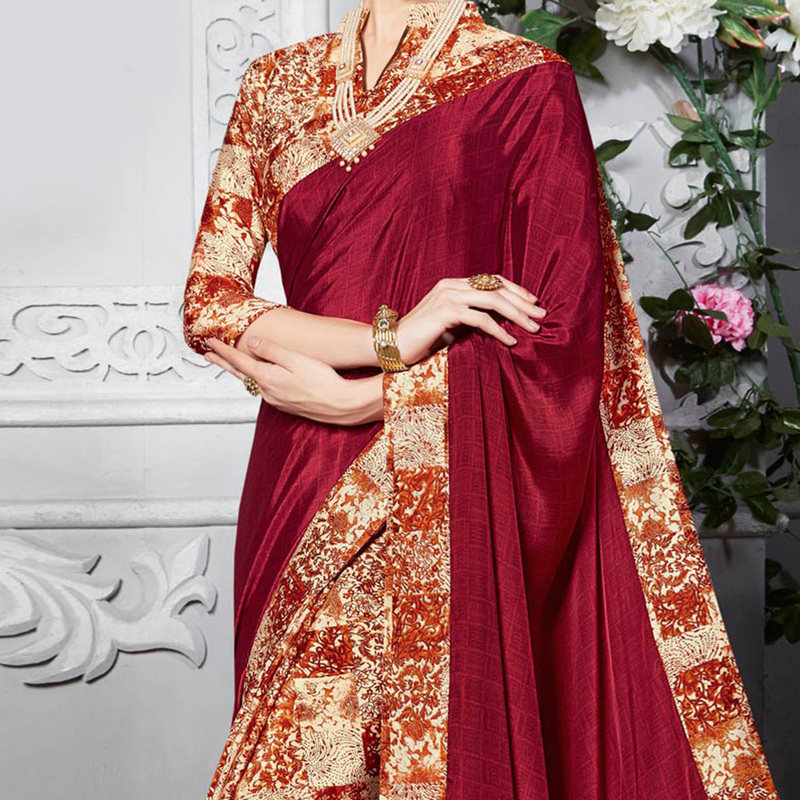 Saree paired with matching blouse in unstitched type. 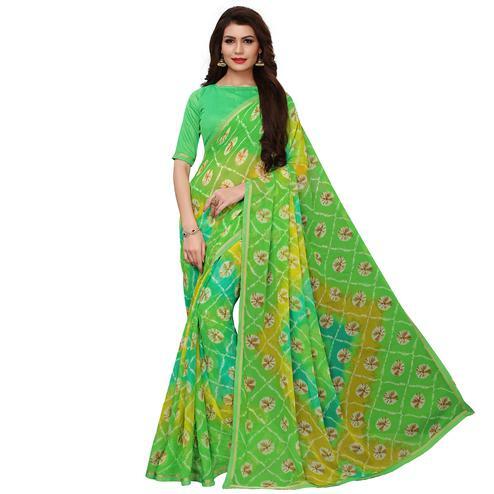 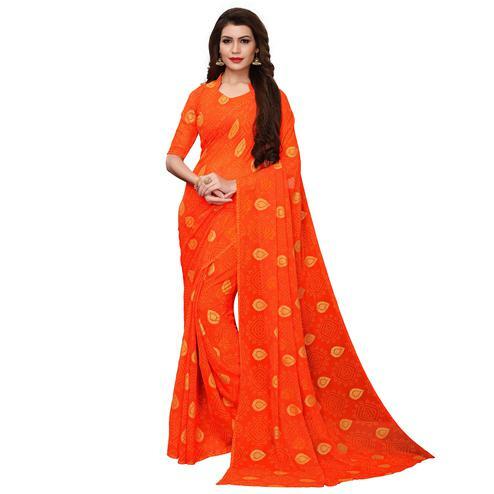 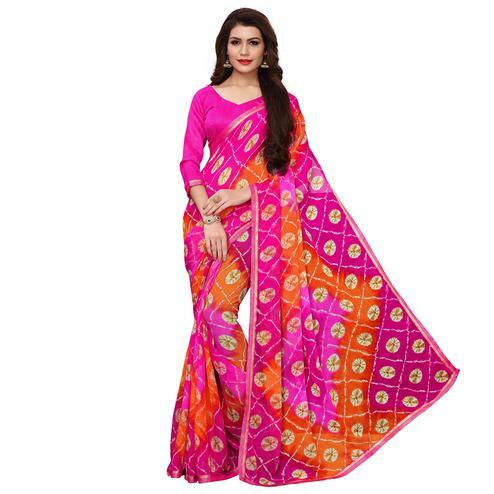 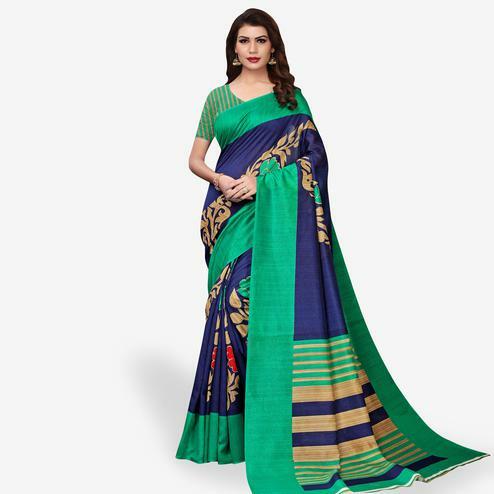 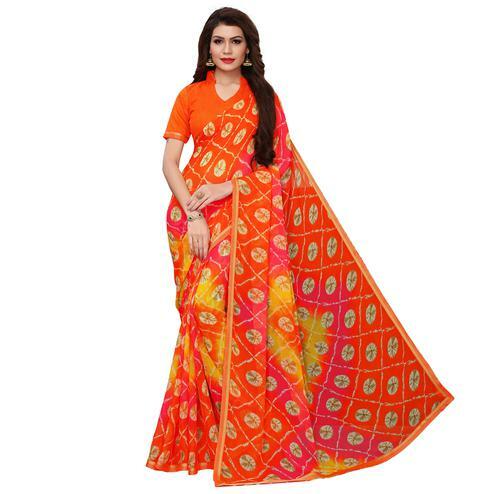 This pretty attractive saree is fabricated on silk crape which is lightweight and comfortable to carry all day long.